...you’ll quickly discover that you’re ready to slip between cool sheets after watching the sun set on a glorious, fun-filled day. With accommodations to suit every price-point, a stay on the Bruce means you can spend more time making memories with your family. Located on Hwy 6 and a short walk from Little Tub Harbour, the Adventure the Bruce Inn is close to many of the attractions of the upper Bruce Peninsula. Diving, hiking trails, boat tours, swimming and golf are just minutes away. Attractions such as the Bruce Trail, two National Parks and the Parks Canada Visitor Centre, great shopping, galleries and restaurants are close by. The family-owned Blue Bay Motel offers 16 spacious, newly renovated rooms overlooking Little Tub Harbour in Tobermory. Centrally located, the Blue Bay Motel is within walking distance of all local shops, restaurants, boat tours, two National Parks, the Grotto, Chi-Cheemaun Ferry and the head of the Bruce Trail. If you’re looking to stay right on the beach in Lion’s Head, this is a good place to check out. Located in the heart of the Bruce Peninsula, Lion’s Head Beach Motel and Cottages is central to the Bruce Trail and walking distance to all the village’s shopping, restaurants, LCBO, library, post office and tennis courts. Lion’s Head is just a half hour drive to the Bruce Peninsula National Park and the Fathom Five National Marine Museum Park. The Spirit Rock Outpost and Lodge makes for a great home base for all of your adventures on the Bruce. The Outpost is stocked with wares from local artisans and is ready to supply you with the necessities to make your stay in Wiarton and the Bruce Peninsula as memorable as the great night’s sleep that you’re sure to have here. Under new ownership, this motel and cottage rental resort is open year round. 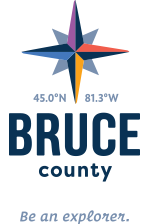 Take advantage of the Bruce’s 4-season wonderland and enjoy some of the best swimming at Sauble or Oliphant, kayaking or canoeing our great lakes, SUPing, snowmobile trails, snowshoeing, cross country skiing, ice fishing and hunting.